I am a fully qualified grade 5 Government Approved Driving Instructor (ADI) and have had to meet the very high standards required by the DVSA. I am very experienced with the Hazard Perception test, and am able to offer help and advice so you should be succesful when taking your theory test. I have been driving for over 20 years and am able to offer advice regarding all aspects of driving, which has helped me to explain things in a plain and simple way. I believe it is essential that new drivers are taught not just to pass the driving test but to be a safe and competent driver in all driving conditions. It is also very important that learners learn to drive in an vironmental friendly way. All lessons are on a 1 to 1 basis, and I believe that it is important to teach each pupil as an individual, as we all learn at different rates. I was fortunate to be trained by LDC in the latest adult coaching and training techniques so you can be assured the training I give will be of the highest standard. 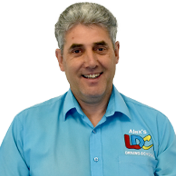 I chose to work with LDC because everybody is different and the LD System allows for flexibility in lessons so that you learn to drive safely at a rate that suits you. I aim to make every lesson enjoyable and as productive as possible. The LD System just helps me to do this more effectively. I have lots of home study material using the LD System which makes learning to drive more fun and a much quicker process. If you would like a home visit (which takes approximately 30 minutes) for me to explain the LD System, to show the home study material, to answer any questions you may have, then this is also available. Lessons are always conducted in a calm, friendly and relaxed manner as I firmly believe in making pupils feel at ease during lessons. So if you are nervous about having driving lessons you have no need to be. I have a great sense of humour which means lessons are fun whilst gaining the necessary skills to reamin safe when driving on your own.